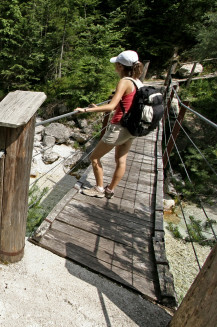 The sheer beauty of Triglav, Slovenia's only national park, will take your breath away. 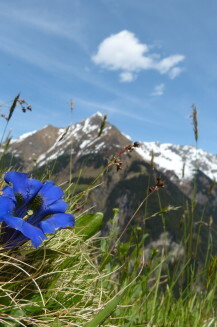 Perfect for hiking or guided tours. Like something out of a fairytale, Bled Island is gorgeous in all seasons and reached by traditional wooden boats or you can row yourself! The emerald green Soca river flows through Tolmin, near our hostel. A perfect base for the nearby gorges and walking, cycling and fishing. Visit a castle built in a cave? Yes that's right. 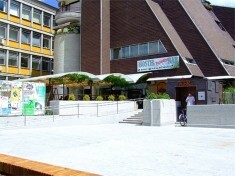 And our hostel here is surrounded by gorgeous green forests perfect for nature lovers and hikers. Slovenia offers magnificent, varied countryside, a host of picturesque villages and towns and tranquil health resorts bubbling with mineral springs. 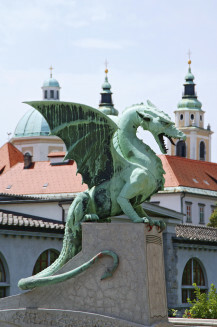 Stay at a city centre hostel in Ljubljana, this gracious capital is studded with Roman legacies and features Baroque buildings and a maze of intriguing, narrow streets. If you’re a winter sports enthusiast visit the Julian Alps. If history is your thing, a trip to the sublime Lake Bled and its famous castle is a must. The limestone Karst region to the south has more than 1,000 underground caves and features vanishing rivers and lakes. 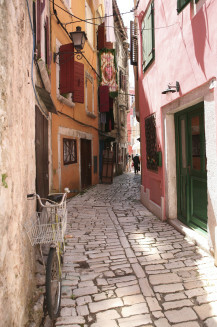 The Adriatic coast presents quiet beaches and pretty harbour villages. 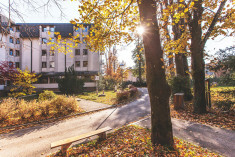 Our wide choice hostels in stunning Slovenia, really do offer something for everyone. We give you the lowdown on the top five things to do in the beautiful town of Bled in Slovenia. Great scenery AND cake!